Thank you for joining me as we count down to the next MFT release. We are only three days away from the big day! All the new Stamps, Die-namics, and Stencils will be available on Tuesday, March 3 at 10:00pm EST. Be sure to check out the MFT Blog to see all the new items being revealed today. Don't forget to leave a comment on the MFT Blog. Countdown posts, YOU could win one of the five $75.00 gift vouchers. 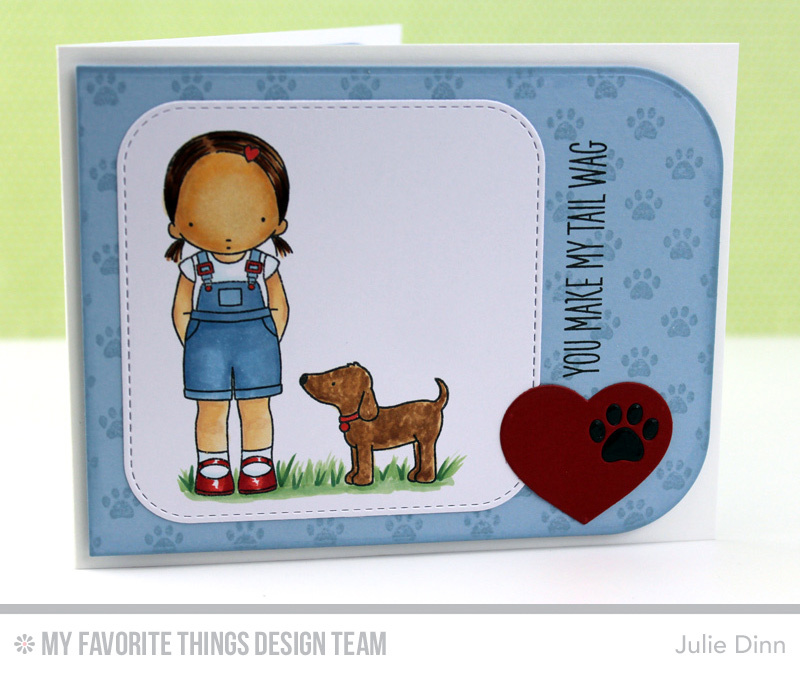 The sweet card that I am sharing with you today features the adorable Pure Innocence Woof You stamp set. I stamped the image on a piece of X-Press It card stock and I coloured it with Copics. I die-cut the image with the Inside & Out Stitched Rounded Square STAX Die-namics. The sweet sentiment is from the You Make My Tail Wag stamp set. I finished off the card with a paw print heart from the Pet Accents Die-namics. I stamped the background with the Paw Print Background stamp and Blue Breeze Premium Dye Ink. The sentiment is from the You Have My Heart stamp set. Thanks again for joining me today, don't forget to check out the MFT Blog to see all the gorgeous creations our design team has to share with you. Super sweet card. Love the paw within the heart and the paw background! your color combo is so pretty, beautiful card! Love the new stamps and dies. You make me happy with a colorful well coordinated card. Your PI card is so cute. I'm so glad to see new PI's. I didn't notice the darling lil' heart clip in her hair until I saw your card. Great job. 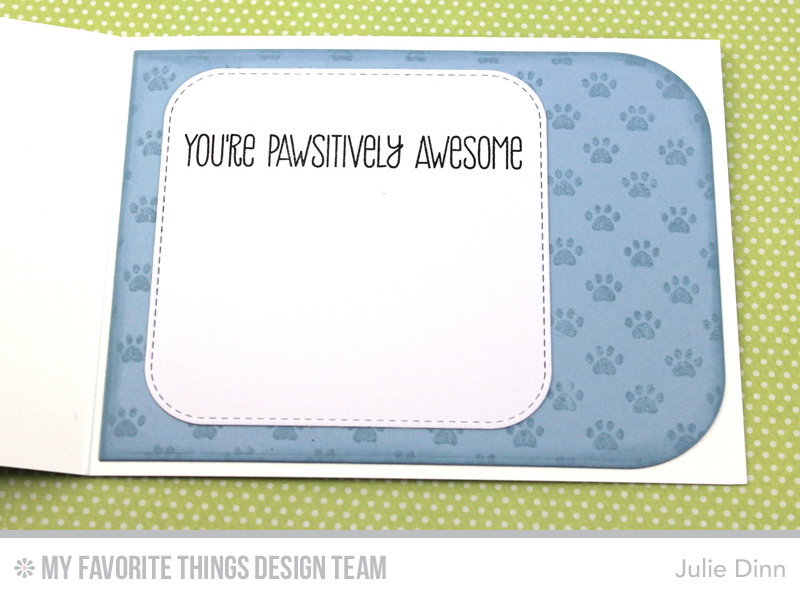 Fabulous cards and love the sentiments and paw background. Just DARLING! Love your colors and the layout. The colors are great-like the pop of red. Such a cute and adorable card. And not to mention...Great Coloring!